Forensic Alcohol Consulting & Training, LLC has been at the top of its field in all matters related to forensic alcohol impairment and analysis. Expert Matthew Malhiot has been providing consulting and expert witness services for more than 35 years and has benefited thousands of alcohol-related cases, testifying in local, state, military, and federal courts nationwide. His professional efforts target both criminal litigation and civil litigation. Mr. Malhiot's well-versed education, training, and experience can provide the accurate scientific evidence and insightful expert testimony needed to assist attorneys in forming and developing case strategies. Mr. Malhiot acquired his Bachelor of Science degree from Park University and continued his education with training in forensic alcohol toxicology, DUI / DWI enforcement, breath alcohol instrumentation, liquor liability, dram shop and responsible alcohol sales and service . He also completed studies at Indiana University's world-renowned Robert F. Borkenstein's Alcohol, Drugs, and Highway Safety: Testing, Research, and Litigation course. Returning to Indiana University to further his education, he completed the course on Forensic Alcohol Program Management. In addition, Mr. Malhiot has also completed the Forensic Toxicologist Certification Board's course on Forensic Ethanol Analysis and Interpretation and has accumulated ample training and experience while working with the Montana Department of Justice (Division of Forensic Science), the National Highway Traffic Safety Administration (NHTSA), and the Florida Department of Law Enforcement's Alcohol Testing Program. Mr. Malhiot's extensive training and education eventually expanded into a pedagogical role that allowed him to share his expertise with industry peers. Matthew has provided training on the Intoxilyzer 9000, 8000 and 5000 to thousands of attorneys and judges throughout the US and Canada. He is certified by CMI, Inc. as an instructor on both the Intoxilyzer 8000 and 5000 and has has taught prosecutors, law enforcement, judges and criminal defense attorneys on the Intoxilyzer machines. His courses are recognized by many states to meet the CLE credit needs of attorneys. Mr. Malhiot also provides consultations and expert witness services on the newest Intoxilyzer, the Intoxilyzer 9000. F.A.C.T. hosts private, training seminars on the Intoxilyzer 9000, 8000 and 5000 breath testing machines to legal professionals in throughout the U.S. and Canada. Mr. Malhiot has completed the NHTSA's Instructor-Level courses in Standardized Field Sobriety Testing (SFST) and has been teaching and lecturing on the subject of Horizontal Gaze Nystagmus (HGN) and field sobriety for many years. He also served on the committee that wrote the Florida Law Enforcement Academy Curricula on DUI enforcement. Mr. Malhiot is a current member of the International Association of Chemical Testing and the Forensic Expert Witness Association. As a student, teacher, and distinguished consultant, Mr. Malhiot has dedicated his life to the pursuit of forensic alcohol expertise and has logged a considerable amount of hours in hands-on experience and qualified testimony. Mr. Malhiot implements his abundant training, education, and experience into every legal endeavor he undertakes. In a scientific scope, having an empirical conception of the facts involved in cases can provide legal teams with the necessary tools to properly organize strategies, support arguments, and bolster successful rhetoric. By presenting the objective and verifiable facts and a subsequent interpretation and explanation of the facts for use in testimony, Mr. Malhiot can be an invaluable asset in any legal situation. Attorneys and Judges find Forensic Alcohol Consulting and Training, LLC's ethical and unbiased services above reproach. 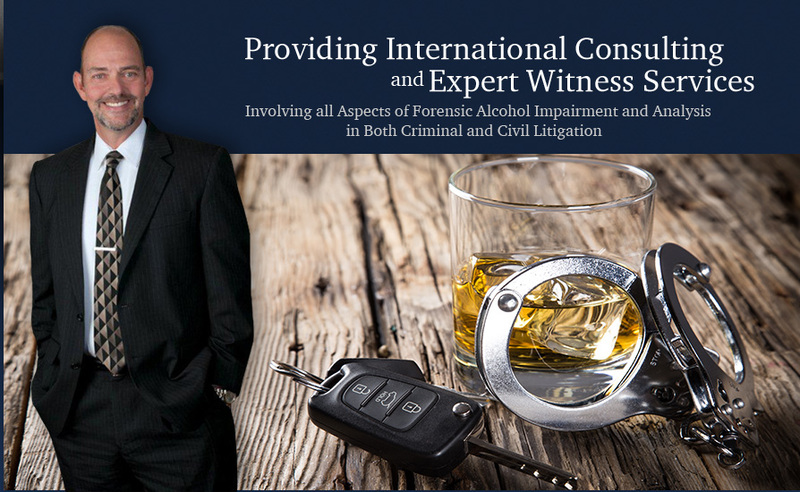 As a Forensic Alcohol Consultant / DUI DWI Expert Witness based in Georgia, Mr. Malhiot provides the legal community with the highest quality service possible on each and every case, and his thoroughness in case evaluations often exceed attorney expectations.